On stage or during rehearsal… when it comes to the inner-ear, what technology is actually at work? For too long, “small enough for the inner-ear” was the benchmark, rather than the quality of the audio. Below, we’ll make a case for the advantages of dynamic drivers. 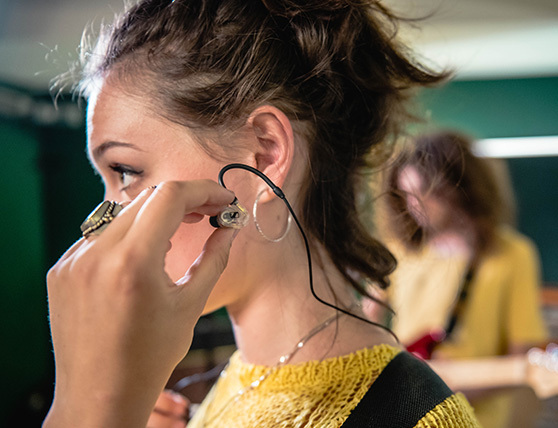 Most commercially available in-ear headphones are based on technology that actually stems from hearing aids. While their multi-way drivers permit a more compact design – it is at the expense of overall acoustic performance. Consequently, Sennheiser has developed and reinvented the dynamic driver system in many ways. The result finally enables a powerfully large sound in a very small space. 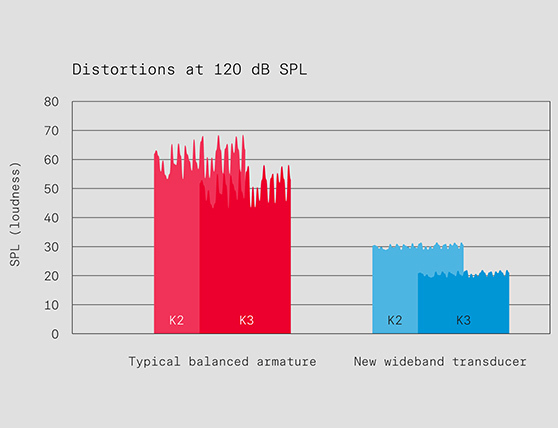 The phenomenally low distortion factor is only one of the several advantages. Because of their limited range, balanced armature drivers have to ‘dissect’ the sound pattern and put it together from several sections. The handover points in particular are prone to crossover effects and other acoustic artifacts. Sennheiser’s new broadband transducer, however, reproduces the sound as an organic whole and delivers a natural, warm overall effect. Above all, the sound can be felt, as substantially more air passes throughout the inner ear. The inner ear is a marvel of evolution and at the same time a labyrinth in which sound waves and frequencies are in part clearly interpreted. For this reason, we have integrated into our new in-ear drivers a two-chamber absorber in the direction of the ear canal (Only IE 400 PRO and IE 500 PRO). This reduces resonance peaks caused by the natural functioning of the ear while resonances would otherwise mask higher frequencies and tire one’s hearing. It no longer needs to be loud. Because it is precise. Multi-way drivers move their diaphragm via a balanced armature in a magnetic field. Both parts are, in principle, on the rigid side. At high sound levels, they tend more quickly towards distortion or begin to clip. However, it is high volumes in particular that are crucial to in-ear monitoring. 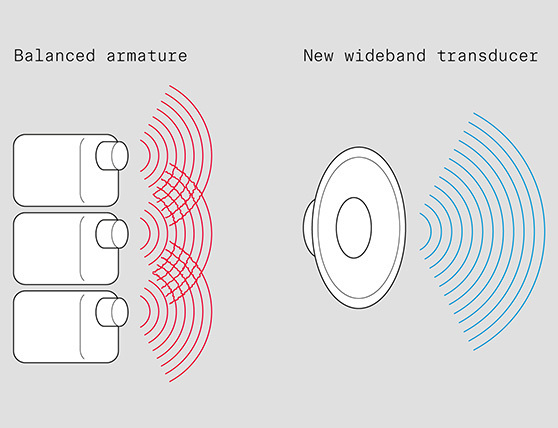 Because new broadband transducers are lighter, softer and more flexible, even at maximum levels, the sound is stable and follows every change in dynamics clearly and controlled. The sound stage stays free from distortion and becomes extremely transparent – thus alleviating your ears from acoustic stress. 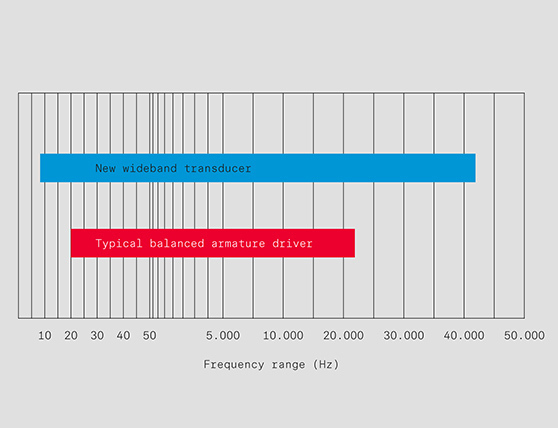 Compared to typical balanced armature systems, the new broadband transducers provide a substantially wider sound stage. The listening experience is also shaped by sounds beyond the hearing spectrum. This also applies to the bass area; the new dynamic system moves significantly more air in the inner ear. The bass and lower mids are not only heard, but also felt. The result would delight bass players, guitarists and drummers, as well as sound engineers who want to reproduce a clean mix. We have reduced the dynamic driver down to micro-size. 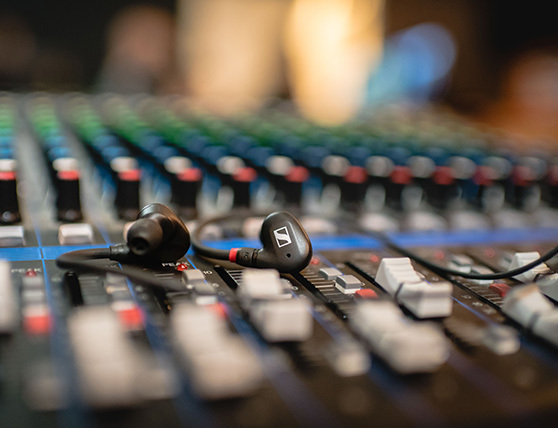 The higher-end IE 400 PRO and IE 500 PRO generate their sound by virtue of our TrueResponse technology from drivers measuring only 7mm. The entry-level IE 40 PRO system utilizes 10mm drivers. The optimized design now uses the full air volume and every square millimeter for optimized sound conduction – and leaves lots of space for a finally comfortable fit. Their compact construction ensures that it sits securely and remains wearable, especially during long sessions.